Whether you love Wes Anderson’s highly stylized cinematic trademark, which is actually largely an homage to the French New Wave, or not, it must be admitted that he largely exists in a sea of imitators in the current cinematic landscape. Rushmore is his second film, but his first to fully lean into what would become his trademark style. It features some phenomenal performances including what is perhaps the best thing Bill Murray has ever done (the word “perhaps” is used because Lost in Translation also exists). Rushmore is all at once a comedy, drama, coming of age story, and pure fun for the casual movie fan, or the astute cinephile. Tenth grader Max Fischer is Rushmore Academy’s most extracurricular student—and its least scholarly. He faces expulsion and enters into unlikely friendships with both a lovely first-grade teacher and a melancholy self-made millionaire. For most movie fans of my generation, Rushmore was a revelation. It had a vibrance that was void in American movies of its day but it had a touch that suggested a master not taking themselves too seriously. It was pretentious, simple, witty and melancholy in all of the right ways. 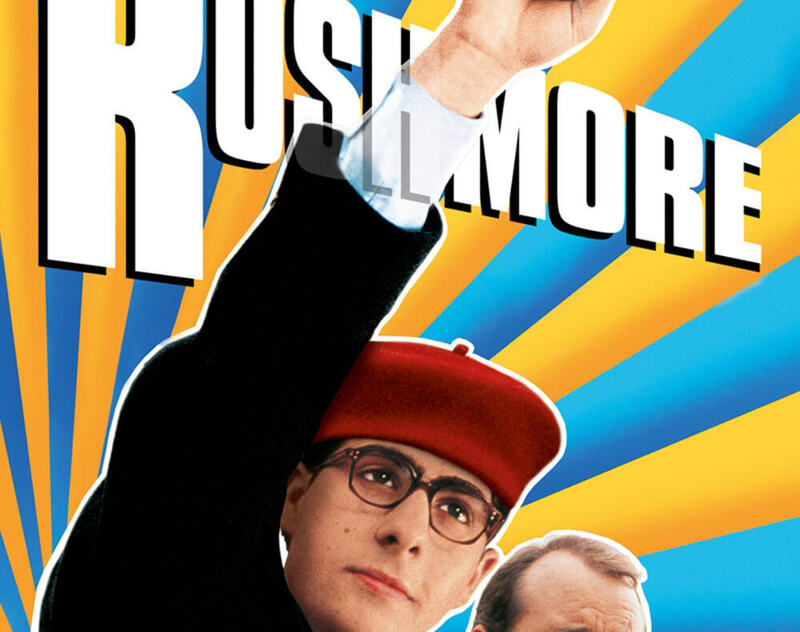 The most obvious staple of Rushmore is the way it is highly stylized. What has now become the tropes of the film’s director, Wes Anderson, were brand new in Rushmore. The bold Futura labels, the British rock soundtrack, perfect use of slow motion, cutting dry sense of humor, rigid central perspective, and full use of Bill freakin’ Murray created a candy store of pure delight for movie fans. To this day Rushmore is largely indistinguishable stylistically from everything that Anderson has done since. The Anderson tropes, while being a perfect container for this particular story, are not the most successful aspects at the heart of Rushmore, however. Somehow within the midst of all of the polished filmic attributes is housed a truly heartfelt, raw story that is easily understood and felt by anyone who survived High School. Performances from now consistent Anderson collaborators Jason Schwartzman and Bill Murray are flawless and Anderson uses them to full effect creating a relationship that is just bizarre enough to rise above the movie’s style but real enough to give the film a gigantic heart. Overall, in Rushmore Wes Anderson gave movie fans his thumbprint. It is unfortunate that so many have tried, some have succeeded while others have failed, to replicate his signature style, itself a mosaic of multiple strong film personalities. What Rushmore did for fans like me, though, was to give us all hope for the soul of an artist to shine through an industry that largely feels like art created by committees. In watching Rushmore, not only does one leave the film feeling like they know Max Fischer, Mr. Blume, and Miss Cross, but they leave mostly knowing Wes Anderson in a sincere way. In the case of Max Fischer, along with almost any other coming of age story, we see the fictional character start at the bottom of this hierarchy and slowly try to move his way up toward the pinnacle. This journey toward the summit is a journey we all find ourselves on, finding ourselves at different levels of the pyramid at any given point in time. Understanding this about ourselves can often help focus our energy toward not necessarily finding the right answer, but perhaps asking a better question. In the end we all would like to become the best versions of ourselves, exactly what every character in Rushmore is trying to do. Better yet, we can be encouraged in stories like this one that there does seem to be a path onward and upward. There seems to me a strong spiritual component to many of these levels, most obviously in the top 3 levels, which helps spur me on to a healthy contemplative and social life to help attain the goal of reaching the apex. What are the big questions in my life right now? 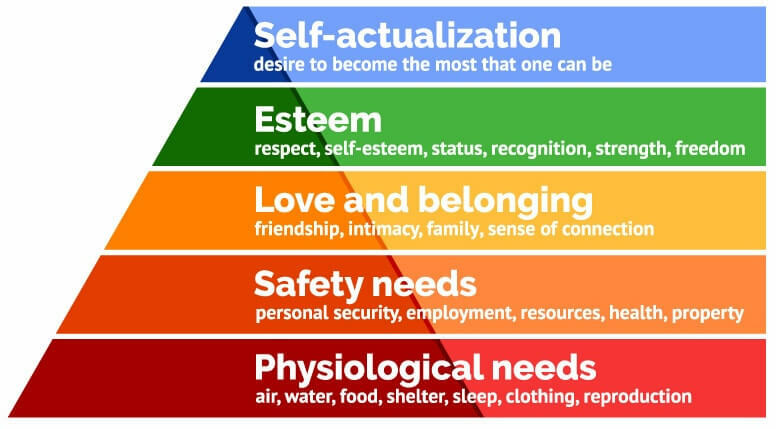 Do those questions seem to fit into one of the categories on the hierarchy of needs? If so, which one? Is it possible to aid others in there journey toward self-actualization? Is there any merit to the hierarchy of needs? What needs am I missing in my own life that need to be met?